The sunny California weather was out in full force for Memorial Day. We had a family/friend BBQ with great food and even better drinks. 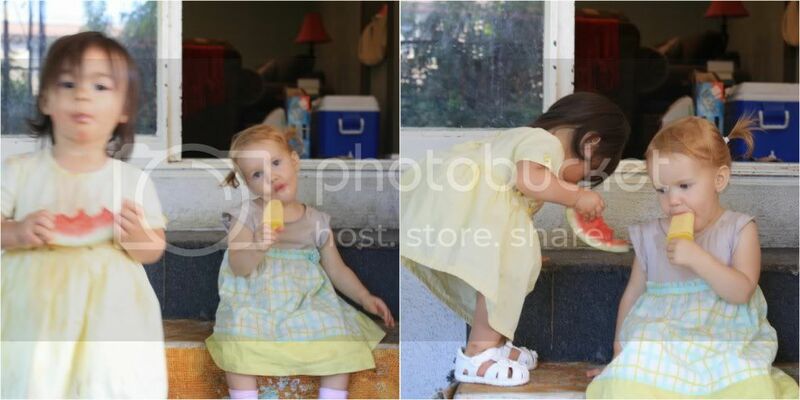 I decided to make Scarlett and her friend Cecily some Memorial Day Popsicles and they were a hit. And since the only way to get Scarlett to eat good healthy food, or any food, is to give it to her in the frozen form of a "treat", I have decided to try a different Popsicle flavor every week and post it on this here blog. Enjoy! You will need Popsicle trays (luckily you can find these anywhere during the summer months) or you can use paper cups/dixie cups/muffin cups with Popsicle sticks for the handle. Caution...if feeding little ones make sure to strip them down first. The mess these frozen treats can make are not for the weak at heart. I just threw everything in the blender to taste, pureed it up, poured it into the molds and threw it in the freezer. Your Popsicle should be done in a hour or so and ready to enjoy! 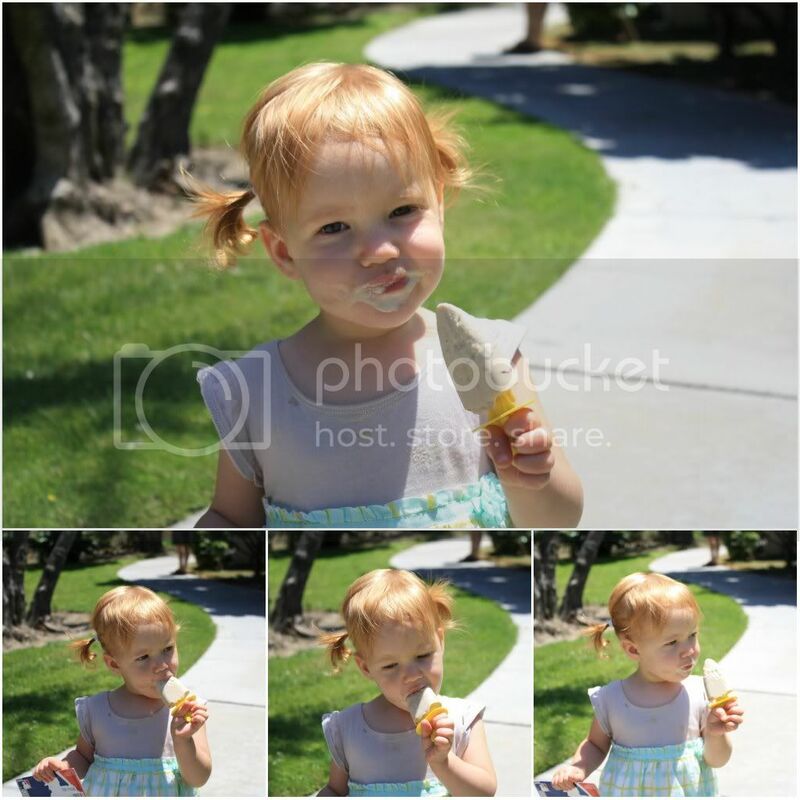 Scarlett LOVED the thick texture and richness of these Popsicles. P.S. She is killing me softly with those over the top adorable pigtails. Yes, we actually got out of the house successfully keeping pigtails in tact. The popsicle was a huge help in distraction. Throw in blender, puree, pour and freeze. Scarlett really enjoyed this one...she finished the whole thing in seconds. A refreshing summer treat. Enjoy! look at that beautiful brown hair! Good food and even better drinks? Do you know what I get paid to do? Did MJ spend 4 hours on his drinks? Have you seen what I look like sweating in my chef's coat? Sheesh.